Finger foods are a great way to introduce kids to German cuisine for fun or educational purposes. Whether at school or for a German-themed party, finger foods cut down on mess, allow more informal socialization and are fun to eat for children. Classic German foods can range from the familiar, like chocolate cupcakes, to the not-for-everyone, like sauerkraut appetizers. The traditional basic elements to German cuisine are grains and cattle, their agricultural staples. Foods that involve wheat, barley, beer, butter, milk, beef and cheese are widely found in German cooking. For kids, avoid the beer and wine ingredients, naturally. 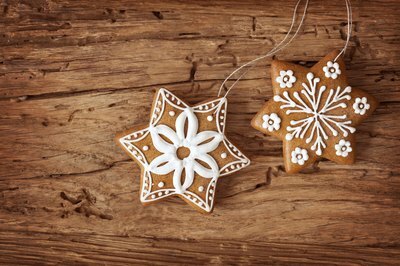 Sweet desserts such as stollen, gingerbread and chocolate cake also have roots in German holiday cooking. In the Midwest, miniature bratwurst can be found in supermarkets or party food stores along with cocktail hot dogs; they form the starting point for this recipe. 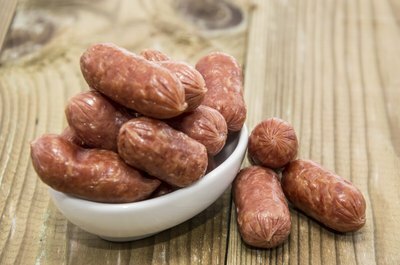 If you cannot find them where you live, use regular bratwurst and cut into 2-inch-long sections before cooking. To cook, soak in a diluted vinegar and onion marinade, heating to a simmer, and then grill the brats over charcoal. (Traditionally, they are cooked in beer, but that can be skipped for a kids’ food.) Place in miniature hard rolls, or Kaiser rolls in a pinch, and serve with brown mustard and pickles. These classic meatballs combine meats and sauerkraut for a wonderfully German finger food. 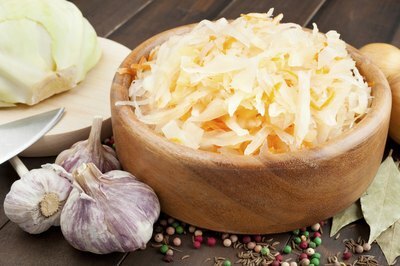 Canned sauerkraut, finely chopped ham and corned beef mixed with chopped onion and garlic are the basis for this recipe. Brown the onion, garlic and meats in butter and flour, then add egg, seasoning salt, sauerkraut, Worcestershire sauce, parsley and beef stock to cook. When done, roll into small balls and coat in crushed crackers with more egg and water. Deep fry in oil for a few minutes until golden brown. See the Resources section for details. This recipe begins with pizza dough, pressed into a large cookie sheet. Fry about 2 1/2 lbs. of sliced white or yellow onions in butter until they are transparent but not brown. Beat four eggs with flour, caraway seeds, salt and a pint of sour cream, and then mix in the fried onions. Pour the mixture evenly into the dough on the cookie sheet, and bake at 350 degrees for 40 to 50 minutes. Cut into small squares and serve warm. See the Resources section for details. 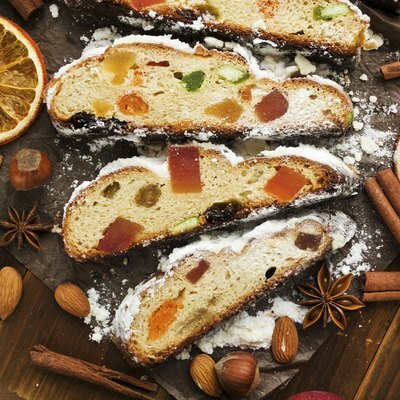 Stollen is a sweet pastry-style bread with candied fruits in the dough. See the Resources section for a stollen dough recipe. When the dough has risen, form it into small ovals, about 2 or 3 inches long, and fold each in half lengthwise. Bake at 325 degrees for 10 or 15 minutes, until golden brown. While still hot, brush the baked pastries with butter and dust them with sugar. You can add more candied fruits on top if desired. Use a miniature cupcake pan for these instead of a full-size pan. These are chocolate cherry cakes, in essence, something most kids will snap up. Instead of cherry liqueur, cocktail cherry juice will substitute. 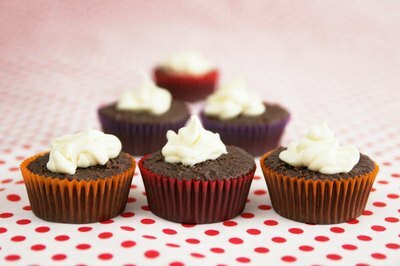 Make chocolate cupcakes from your favorite recipe or the one in the Resources section. (If adapting a full-size recipe, cut down the baking time and oven temperature by five minutes and 50 degrees.) Then, hollow out a spoonful from the top of the cupcake, drop in a few cherries from cherry pie filling, and surround them with cherry juice. Replace the tops of the cupcakes before frosting. Use whipped cream frosting with a touch of cherry juice for flavor, and top with chocolate sprinkles and a maraschino cherry on each. Complete your table with bowls of hard pretzels and several mustards for dipping. You also can serve a store-bought cheese ball covered in nuts with buttery crackers for another snack food that fits right into the German food ethos. 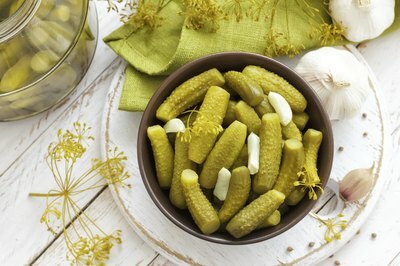 Dishes of pickles are traditional German garnishes, including other pickled vegetables like beets, green beans and garlic. Add a rich, dark rye bread cut into cocktail-size pieces and serve with cream cheese spread, butter or sliced cheese.